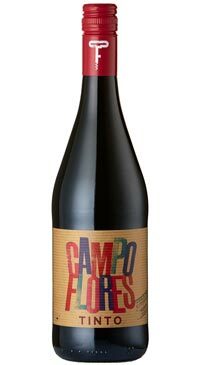 Campo Flores produces wines from organically grown grapes in vineyards near Cuenca in Castilla la Mancha in the heart of central Spain. The wines offer excellent value and good varietal expression. Produced from grapes grown by farmers in the Cuenca part of La Mancha, who cultivate their crop using ancient methods, tending old bush vines on sandy-chalk soils in a hot climate where no pesticides or fungicides are needed. La Mancha is the world’s biggest single delimited wine region and Tempranillo is the area’s star grape. This is an unoaked blend of 80% Tempranillo and 20% Syrah. An intense succulent, juicy red wine which is luscious and bright. Supple ripe strawberry and blackcurrant fruit provides the character, and a warming spicy finish gives personality to this delicious honest red.